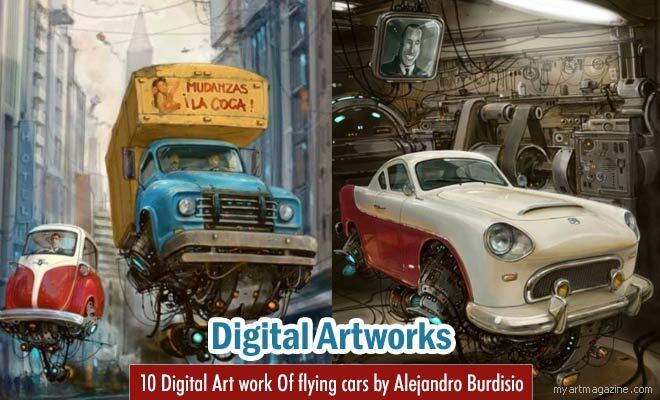 Digital art: Many of us would love to personally own a flying car, to get you to your workplace. 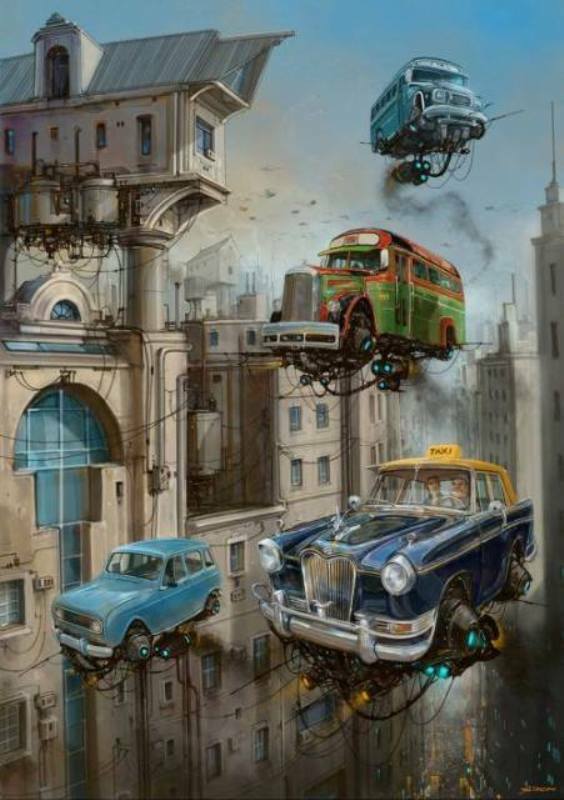 We all hate being stuck at the traffic for hours together. 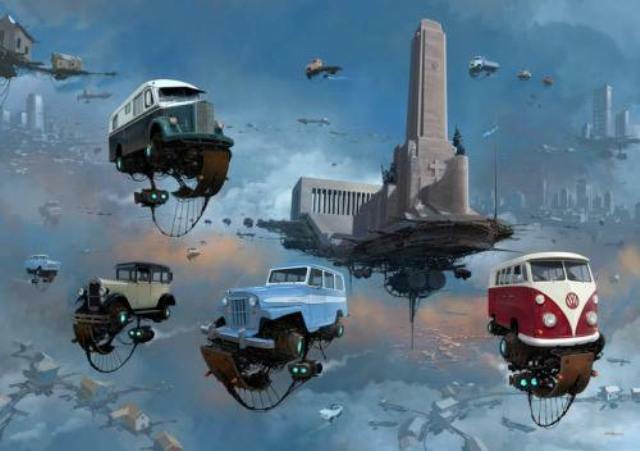 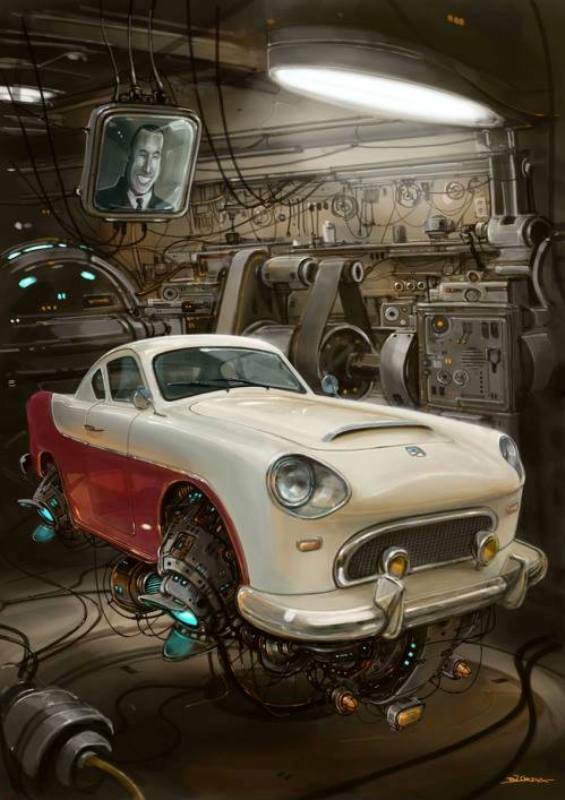 Have a look at the digital art by Alejandro Burdisio, you might get an idea as to how future cars might be developed. 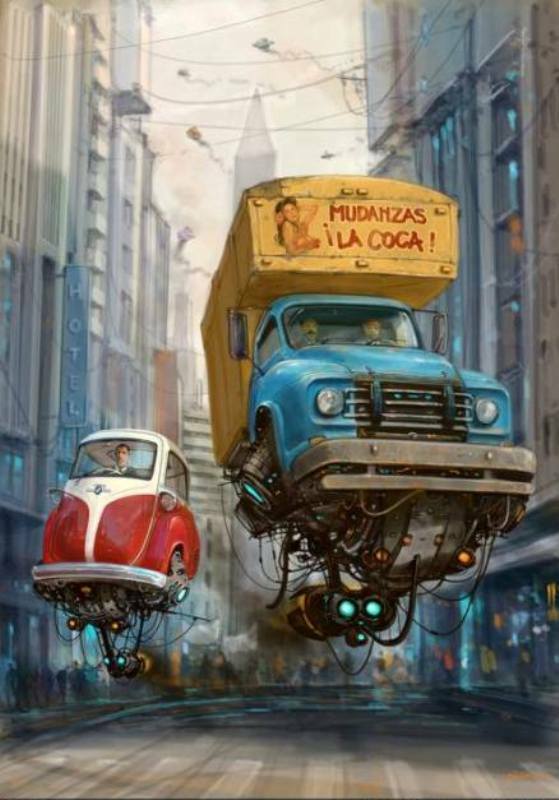 Alejandro Burdisio draws inspiration from the sci-fi work of Juan Gimenez. 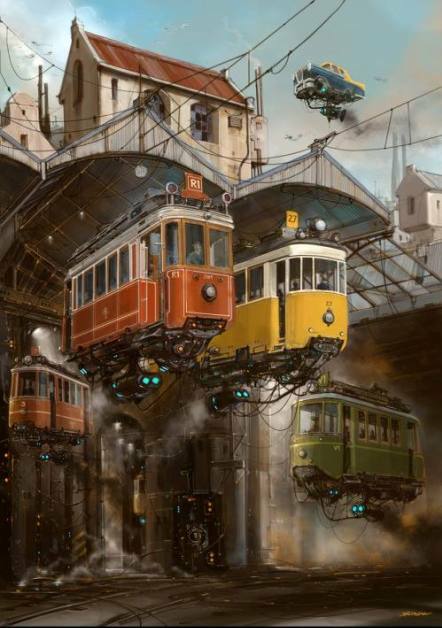 Flying cars, floating houses, floating buses and even your favourite ice cream vendor uses a flying strolley. 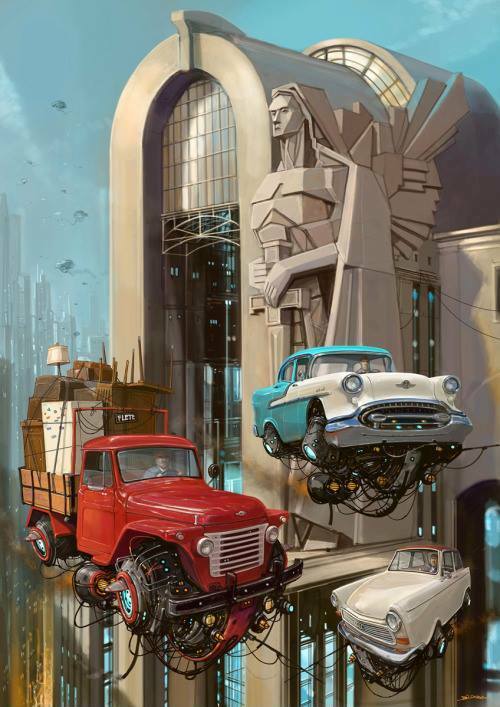 Floating gas stations look so real, it makes you wonder if this artist is from another planet. 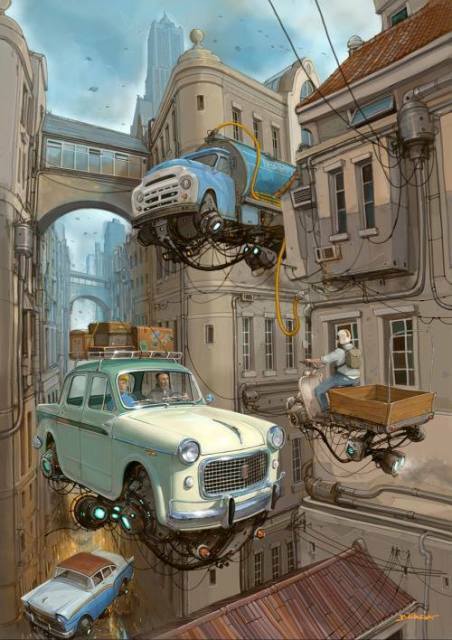 Alejandro Burdisio is an Argentinian artist/illustrator who creates these out of the world illustrations, which are totally mind bending. 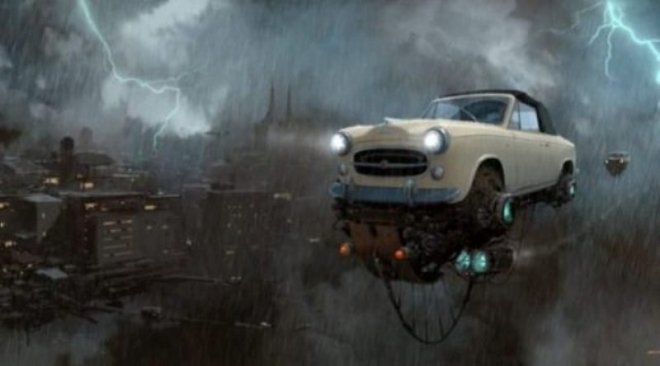 Enjoy the beautiful concept art by Alejandro Burdisio and be inspired.